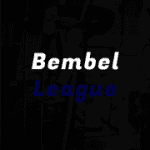 What is the Bembel League? • Currently our primary location is the Rhein-Main region. against another affiliate in the Rhein-Main region. that they get to host as well as visit the other affiliates in your area!